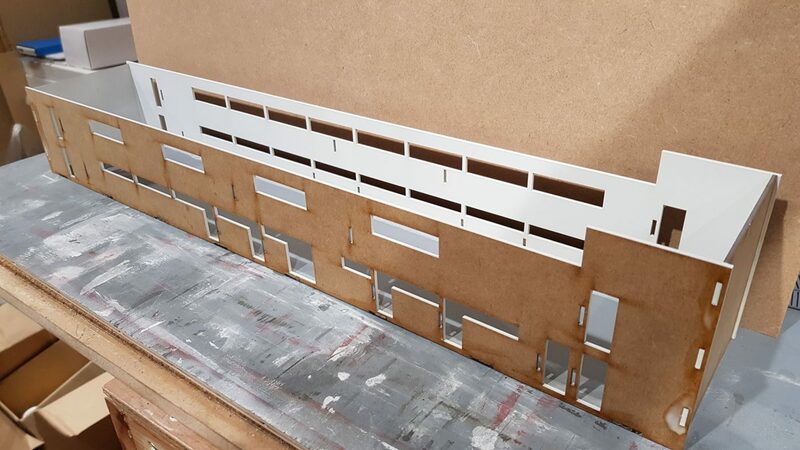 Having now cut the first design, we have glued the skeleton framework all together to make sure all is correct and thankfully it fits spot on. There is one minor correction to make for one of the internal wall supports but that’s an easy rectification. We hope to have the internal parts cut and we can put one of the kits together and see how it looks when done and painted too. For more information and to be kept right up to date, follow us on our Facebook page, where we tend to update more often and have more information.